It might be my restless spirit which refuses to be contained in one place and by a routine, or it might be the Philippine climate, but I have always wanted to be constantly traveling to a different country. We all long to acquire what someone else seems to be enjoying. In the same way that Asians, especially Filipinos (and not just women anymore), strive to get fairer skin whilst Caucasians want to become tan, we people from the East long to experience living in the West and vice versa, even if it's just once in our lives. And all the better if while in a foreign city we get to find love. Before Sunrise shows exactly how that might go. American boy Jesse (Ethan Hawke) strikes up a conversation with French girl Céline (Julie Delpy) on a train from Budapest and has the crazy idea of asking her to delay her return to Paris so she can roam around in Vienna with him before his morning flight back to the States. Céline says yes as she has enjoyed talking with him. They don't do anything fancy in Vienna, just lots of walking and talking. Their conversations are devoid of inhibition, however, because they know their time together in that strange city is limited. They become lovers, although in their hearts they're not sure how they can continue being so. In the end, without exchanging numbers or even full names, they make a promise to meet each other exactly six months from that day at the same Vienna train station. Before Sunset is Before Sunrise's sequel that takes place nine years later in Paris. No, they did not meet six months from that fateful first acquaintance and they are very frustrated about it. There is the same combination of spontaneity and detachment from the world and again in less than a day they do lots of walking and stream-of-consciousness talking. 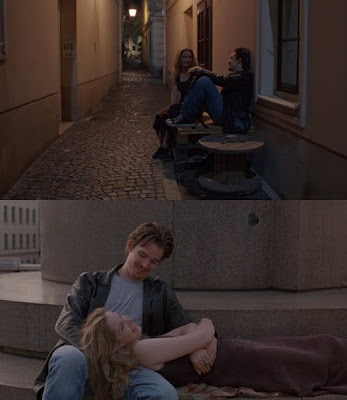 The ending of Before Sunset is left to the viewer's imagination. While dancing to a Nina Simone record in her apartment, Céline tells Jesse who's sitting on her couch that he's going to miss his flight. In response, Jesse fidgets with his wedding ring, contemplating his decision, and says, "I know." Ironic how nine years earlier Jesse convinced Céline to go with him by telling her she'll at least have a memory to look back on if she finds herself unhappy with her marriage one day. Paris may be a tad overrated but there's no denying the beauty of the place or of the idea of falling in love in it. Paris, je t'aime tells different stories of love in the form of 18 short films, each set in a different arrondissement (district) of the city. Although they are all as varied in style as can be because of their unique directors, through well-shot transition sequences and some recurring characters they blend seamlessly together into one portmanteau film that showcases why Paris indeed is known as the City of Love. Paris, je t'aime is the first episode in the Cities of Love franchise created by Emmanuel Benbihy. 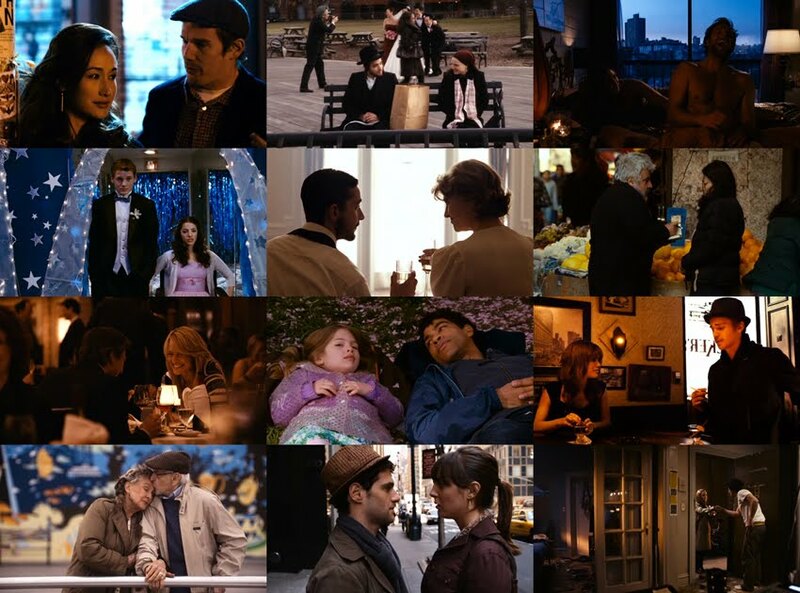 It was followed by New York, I Love You which, although shorter and with only eleven stories and despite using the characters instead of shots of the city for transition, somehow fails to tie everything in the end. The whole is definitely not greater than the sum of its parts, but some of the short films are still masterpieces in themselves, such as the ones with Maggie Q, Natalie Portman, Orlando Bloom, and Shia LaBeouf in them, and the story of Abe and Mitzie, the elderly couple celebrating their 63rd anniversary at Coney Island. Rio, Shanghai, and Jerusalem are next in the Cities of Love series, with Rio, Eu Te Amo already in the works. A similarly structured film called Moscow, I Love You was released in Russia last year. I wonder why with the Filipino's fondness of adapting foreign movies and TV series something called Manila, I Love You or Maynila, Mahal Kita has not been created yet. I've only ever made short videos for uploading to YouTube (amateur director), but writing and directing for a love-themed anthology film would surely make for an interesting experience...if I could be objective enough.